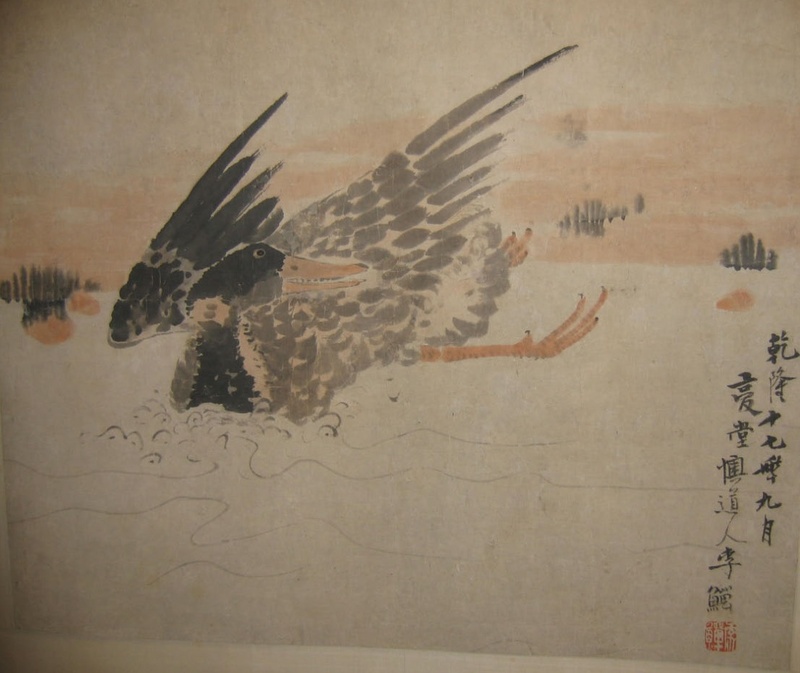 While Li Shan admires through his painting the duck as a wild beast….you also have the impression that he’s at the same time thinking about dinner. Always a hungry race, the Chinese. It is interesting to compare the difference of Chinese and Japanese art. Chinese is a little wilder, but holds the first vision the first vision. Japanese a bit more static and contained. This entry was posted in Li Shan. Bookmark the permalink.